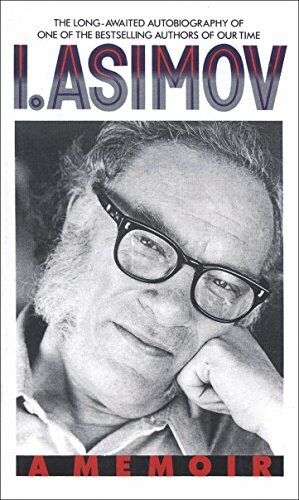 Isaac Asimov Signed My Yearbook | Birth.Movies.Death. Devin remembers getting an autograph in a most unusual place from one of the greatest writers ever. Recently a bunch of my high school yearbooks were mailed to me from the east coast. It had been decades since I saw them, and I ended up wasting a whole afternoon paging through the books. It's strange the way memory works, especially as you get older; I would open a yearbook with no memory of a person even existing and then, upon seeing their picture, remember all sorts of esoteric details about them and the time we spent together. It's like Keanu Reeves having kung fu downloaded to him in The Matrix - one minute the knowledge isn't there, then suddenly it all is there. It was my sophomore yearbook that presented the biggest surprise, and the biggest sudden rush of memory. I had met Isaac Asimov once, and even gotten his autograph. The story happened in 1989. For some reason a picture of Asimov had been put in the Blue & White, the Archbishop Molloy yearbook, in the JV Soccer section. I don't know how Asimov was chosen to fill this empty space in a poorly laid out page, but there he was. The caption claimed him as one of the team's more distinguished fans (if Asimov was a sports guy he was probably more into Kenny Anderson, the star of our basketball team who went on to play for the Nets. And to knock up Spinderella and Tami from the first season of Real World). I was delighted by the intrusion of science fiction into the jock pages. I imagined most of the soccer players didn't even know who Asimov was, and they would have been really irritated that he was there. It was a small nerd victory. Then in the late summer I heard that Asimov would be appearing at the New York Is Book Country fair. I was going to the fair already, and I knew I would wait in line for hours to get Asimov's autograph (the next year I would wait outside Tower Books for four hours to get Stephen King's autograph on The Stand: The Complete & Uncut Edition. I never even made it in the door. Thus began my hatred of waiting in line for anything). It seemed, at the time, like a great idea to get Asimov to sign the yearbook. Here's my memory of the event: the line to see Asimov was short. He was very old, with the mutton chops and the tweed jacket you always picture. He was very tired. He was very nice. And he chuckled when I showed him the yearbook. I must have been sweating and stammering, a little fat kid with enormous spectacles and likely a smudge of something on my shirt. He was friendly and kind, and he happily signed my stupid yearbook. That's it. There's no great zinger to end this one, just a happy memory of a nerdy impulse and a brief brush with one of the titans of science fiction. And possibly one of the only high school yearbooks in existence with an Isaac Asimov autograph. If you have any stories of run-ins with truly legendary people, feel free to share them in the comments below. 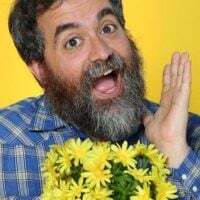 Just remember: EVERYBODY has met Bruce Campbell at this point.